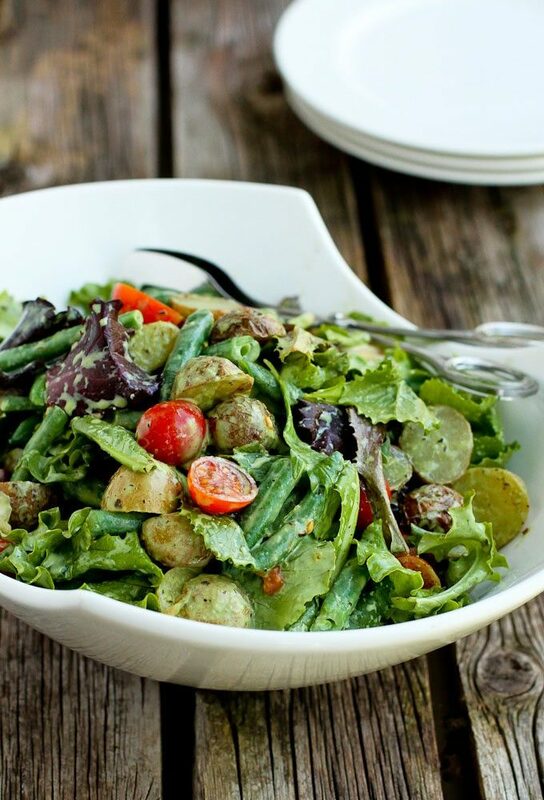 Roasted potato green bean salad with basil buttermilk dressing…A hearty side salad that is perfect for summertime (or anytime of the year)! 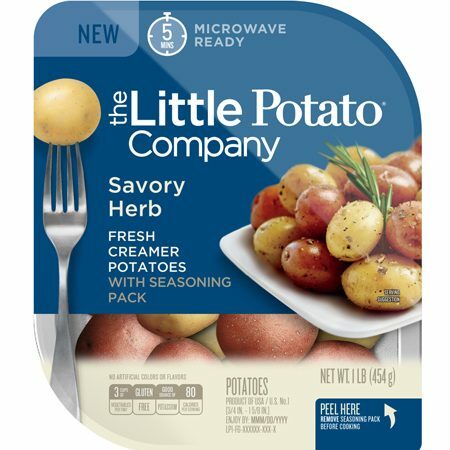 Prepare the potatoes according to package directions: Remove and discard the cardboard and plastic film. Mix the potatoes with the olive oil and enclosed seasoning package. Cook until the potatoes are tender, 30 to 40 minutes. Let the potatoes rest until cool enough to handle and cut each in half with a sharp knife. Bring a medium saucepan of water to a boil. Prepare a medium bowl of ice water. Add the green beans to the boiling water and cook until the green beans are just tender, 1 to 2 minutes. Drain and immediately plunge into the ice water. 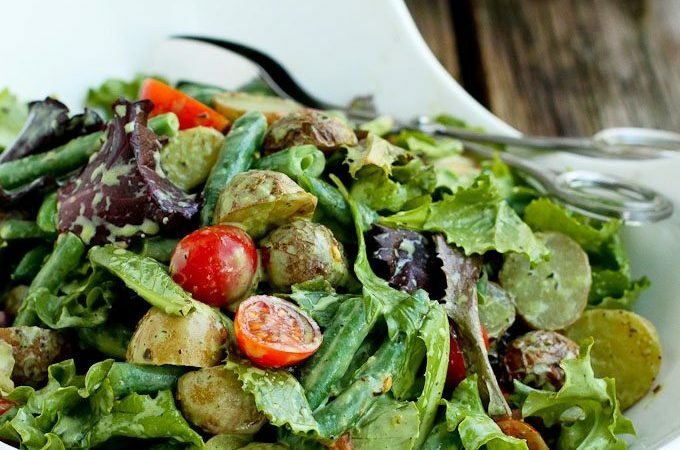 In a large serving bowl, combine the potatoes, green beans, spring lettuce mix and tomatoes. Toss the salad with the dressing. Serve. For the dressing, in a blender, combine the buttermilk, yogurt, basil leaves, Dijon mustard, garlic, agave nectar (or honey) and salt. Blend until smooth. Serve up this salad with a cut up rotisserie chicken, some quickly cooked pork chops or even eggs, cooked your favorite way.